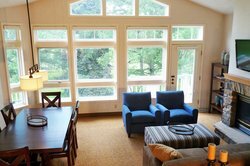 Our condo-style lodging near Peek’n Peak, with close access to Chautauqua and Lake Erie Wine Country, is the cherry on top of a visit to our beautiful region! Our hotel offers the bespoke experience of a private resort, with 36 suites that have everything you need to relax and unwind—or to stay focused and connected if you’re visiting us for work. 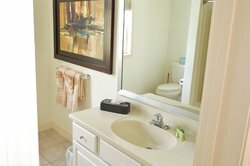 Whether you’re looking for a straightforward studio or a grand 3-bedroom suite, we have the space for you. After a day exploring the area, an oasis awaits! Each room is stylishly designed and renovated, with private balconies that look out onto a welcoming view of the greenery beyond. In summer, step out onto the balcony with a bottle picked up from a local winery—or join us for a glass from a carefully-selected list of local and international wines at The Clubhouse. You can also rent a barbecue to grill up something amazing. 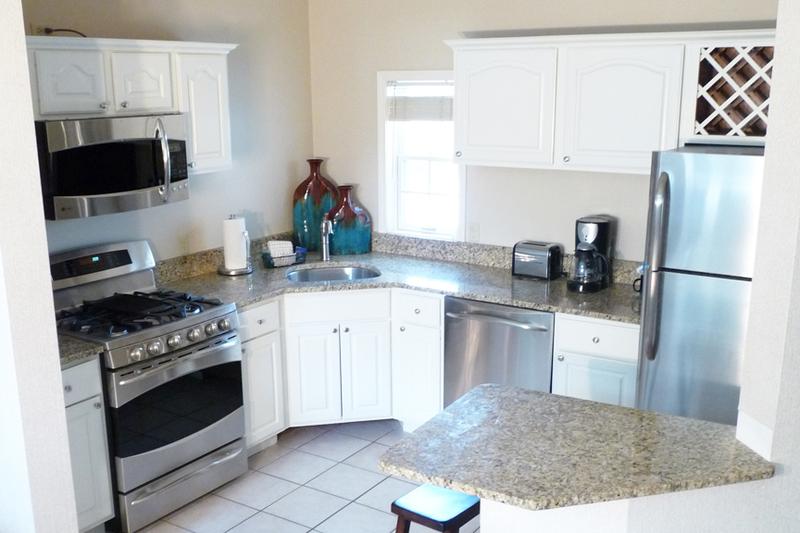 All year round you can cook in your suite’s full kitchen, with everything you need for a feast! 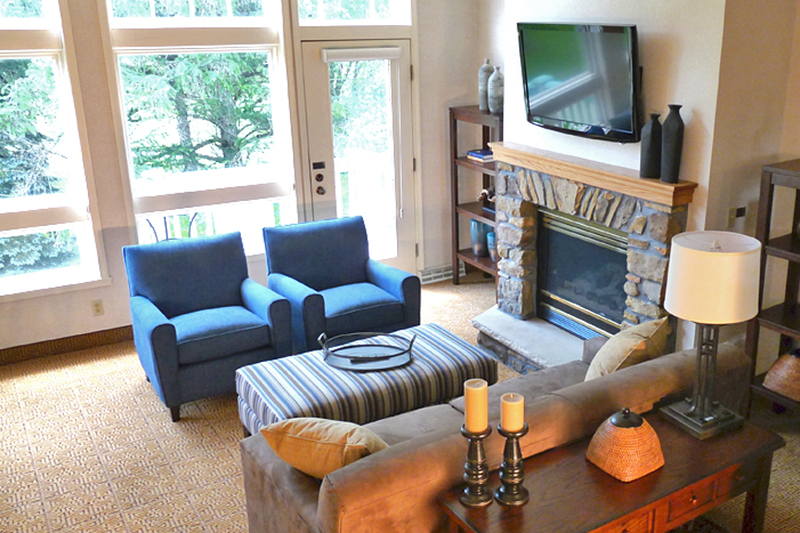 We get lots of snow in winter, and our suite’s fireplaces will make your room even cozier! 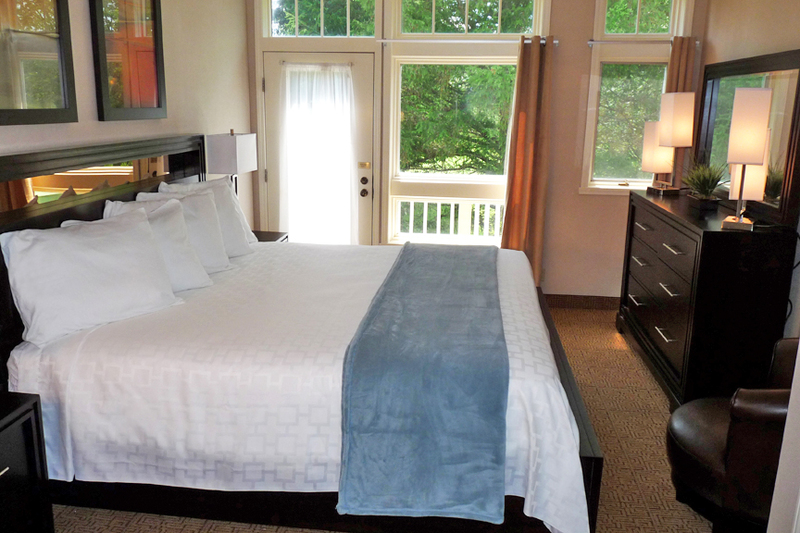 To make the most of your stay, pair one of our rooms with a fully customizable discovery package. Get discounts and insider info on the best things to do, eat, watch, and drink nearby. Looking to visit the area for a little while? 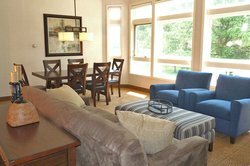 Whether you need lodging in Chautauqua for weeklong summer retreats or for an extended business trip in Western New York, our suites will transform into your own private apartment—but better! 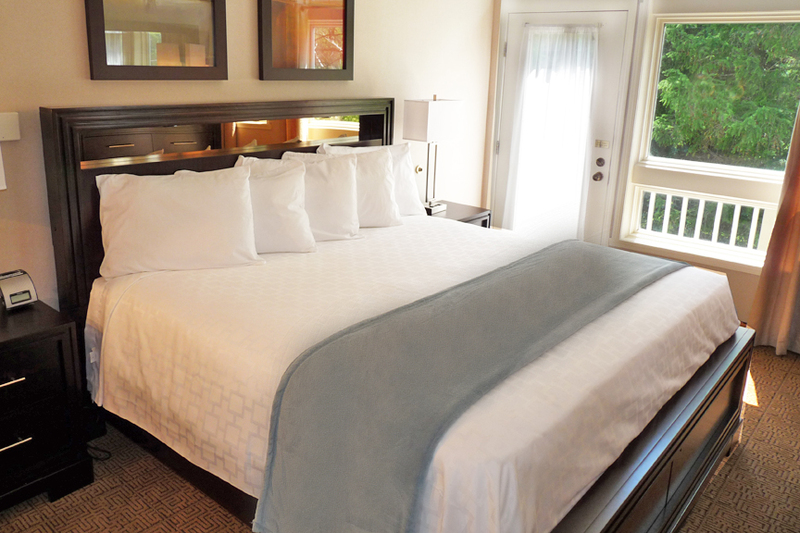 Our beautiful grounds, friendly staff, full-service gym, and Clubhouse will make your stay in Clymer feel like home. 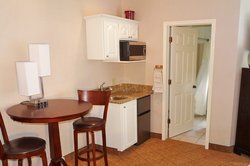 Our comfortable remodeled studio room is furnished with a queen bed, a well-equipped kitchenette, and modern amenities that will make you feel like home. 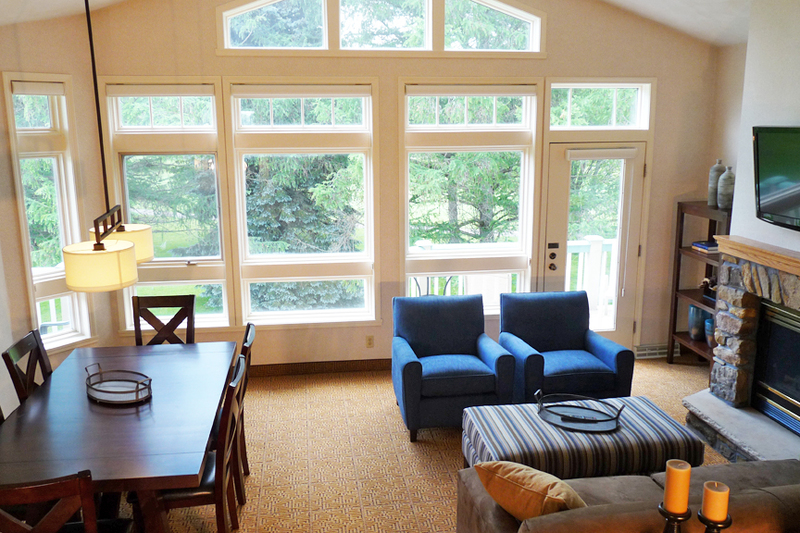 Step out onto a patio or balcony overlooking the lower fairway. Our comfortable remodeled studio room is furnished with two queen beds, a well-equipped kitchenette, and modern amenities that will make you feel like home. 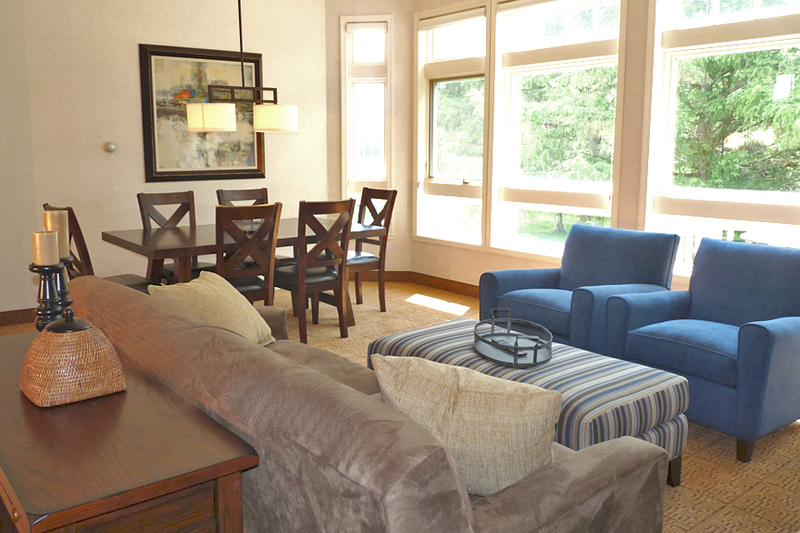 Step out onto a patio or balcony overlooking the lower fairway. 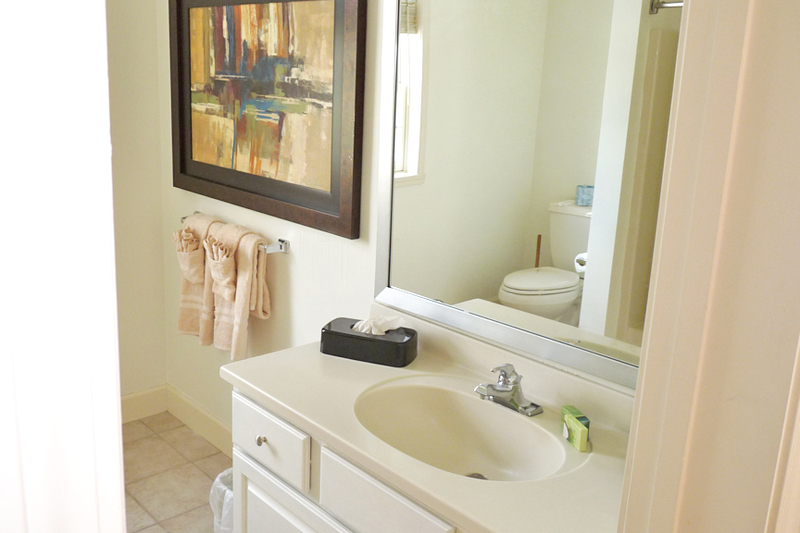 A beautiful 1 bedroom suite, laid out over two spacious and welcoming rooms. Make a delicious meal and eat it on your balcony overlooking the beautiful New York greenery. 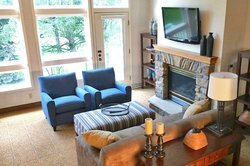 Or you can enjoy the snowy scene out the floor-to-ceiling windows by a cozy fire. In town with a larger group? 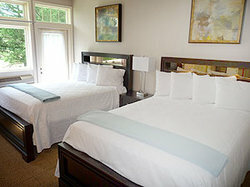 This room is a cozy retreat for up to 8 people, with inviting king beds in separate bedrooms. The suite has a full kitchen, living and dining areas: perfect for relaxing after a day exploring the area’s wineries, slopes, and views. 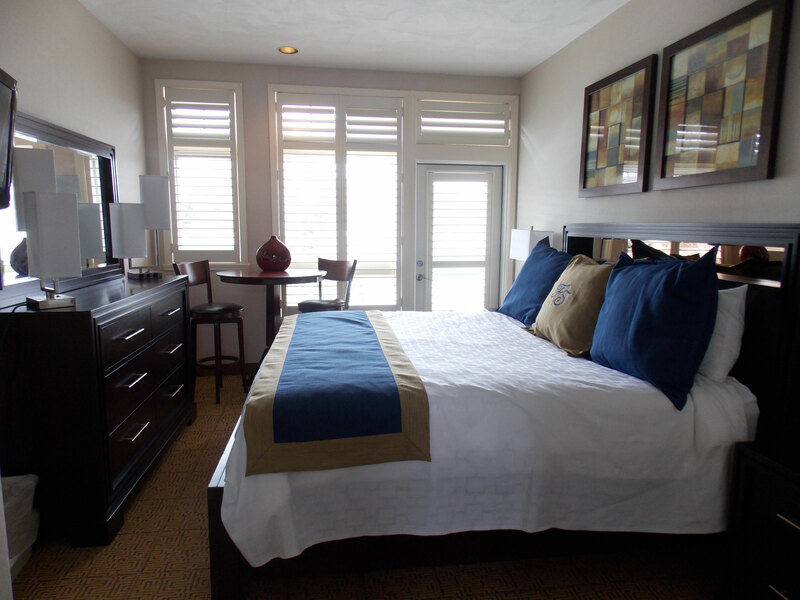 Our largest suite is ready for your group getaway! Family trips, friend vacations, girls weekends—there’s space for everyone! 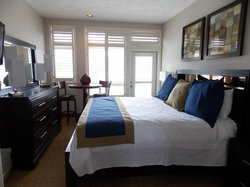 One bedroom features a king bed, and the other two rooms either have 2 queen beds in each room or 1 queen in each. For more guests, there’s also an innerspring sleeper sofa bed. Cook for the group in the fully-equipped kitchen and then enjoy it on the full dining table, out on a private balcony, or by a crackling fire. 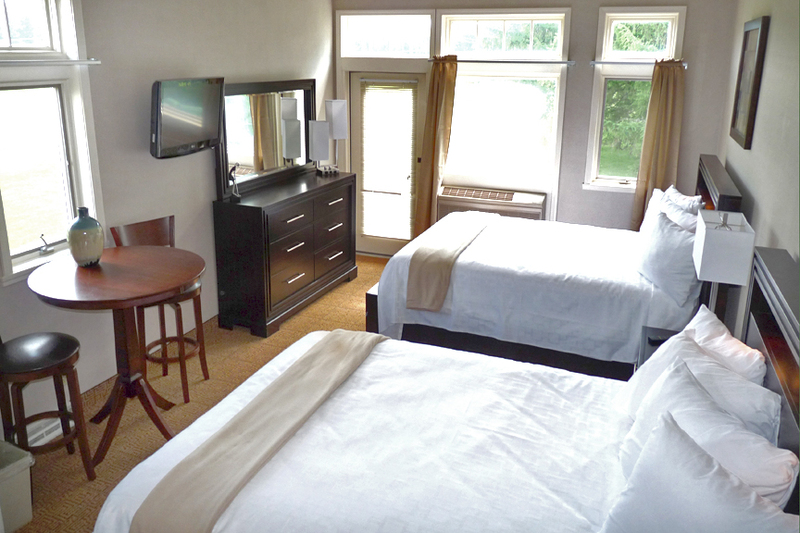 To book our Accessible Queen Studio, please contact the property directly at (716) 355-5014 or dsmith@armhospitality.com. 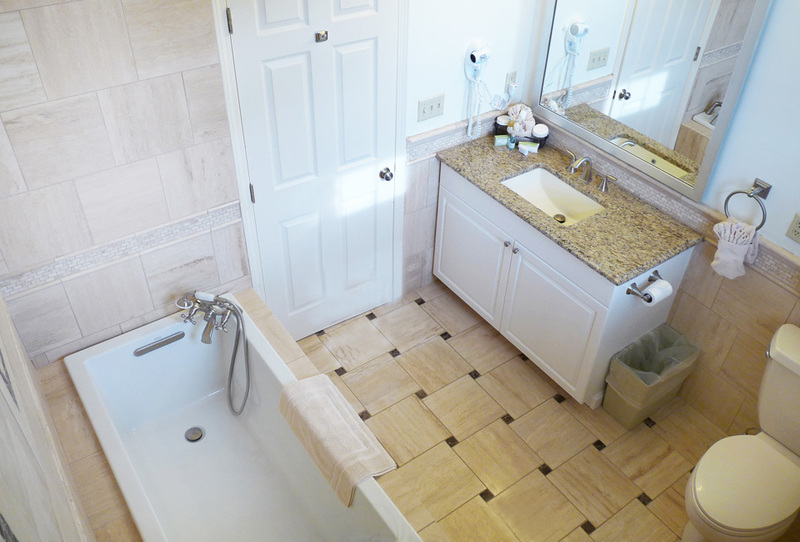 Experience true comfort and convenience at Fairway Suites' Accessible King Suite, which features a living/dining room, state-of-the-art stainless steel and granite full kitchen, a separate bedroom with a king bed, and 1.5 baths for added convenience. 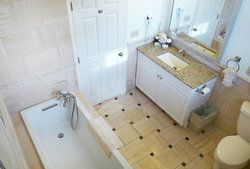 To book our Accessible King Suite, please contact the property directly at (716) 355-5014 or dsmith@armhospitality.com. To book our Accessible 2 Bedroom Suite, please contact the property directly at (716) 355-5014 or dsmith@armhospitality.com. Perfect for the whole group, Fairway Suites' Accessible 3 Bedroom King Suite is beautifully laid out with a four-room design and can accommodate eight to twelve people, with three separate bedrooms. 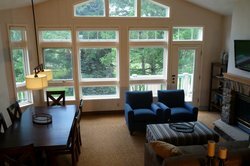 To book our Accessible 3 Bedroom Suite, please contact the property directly at (716) 355-5014 or dsmith@armhospitality.com.